Students investigate Ohms Law while comparing the electrical properties of a resistor and a light bulb. One Extech power supply with dial limit set to 1/3rd, around 180mA, and voltage turned all the way down. One red and black patch cord connected to power supply. One 150 ohm resistor with alligator or Fahrenstock clips on both ends. 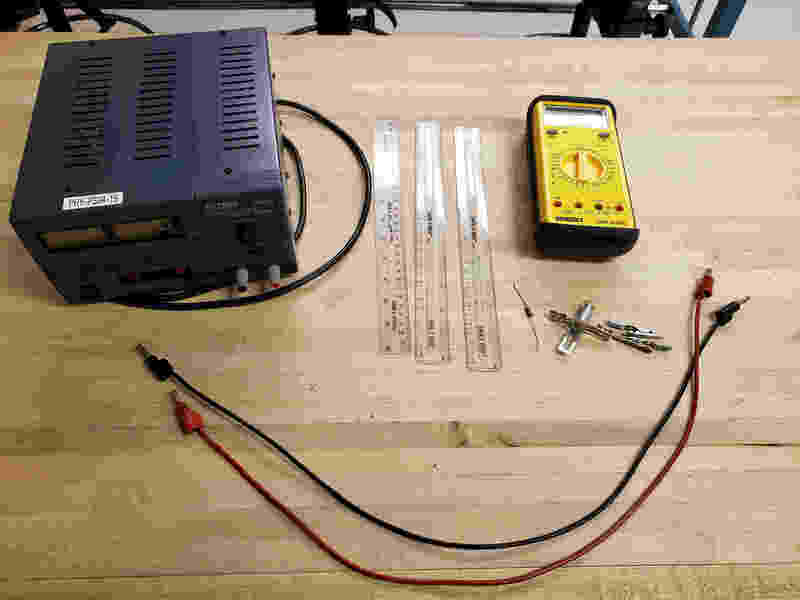 Multimeter as Ammeter with 20A fuse connected to power supply, in series with 150ohm resistor. Item modified on 2019-03-18 13:38:31 by damicoa6.